Until 1991 the Soviet Union was the world’s largest and one of the most powerful nations. Years earlier, deep inside communist Russia at a local “Government wedding office” I stood under the Soviet symbols, the hammer and sickle. Laura and I were waiting to be pronounced man and wife according to Soviet law. At that time we had no idea what God had planned for our lives as we set out on our life journey together. At the time, we were producing Christian radio programs into the Soviet Union. They were broadcast from 11 superpower shortwave stations around the world. Such programs were the sole window into the Bible and faith in God for millions of Soviets. But, we well knew that one weekly half-hour radio program was not enough to make a noticeable dent in the atheistic landscape of the USSR. So, we as a missionary team, fervently prayed for God to somehow, in some way, give millions of Soviets unhindered access to the gospel message without censorship and restrictions. If this were to happen, the county’s national TV and radio channels would need to accessed. That would take a miracle that defied all odds—a huge miracle was needed! 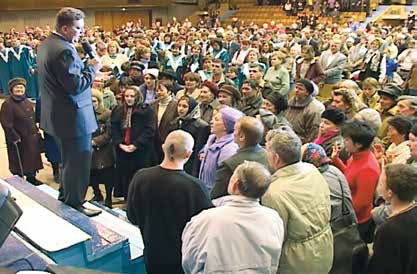 The apostle John tells us that: “God so loved the world, that He gave his only begotten Son, that whosoever believes in Him, shall not perish but have everlasting life.” If these words were true for the world in the days of the Apostles, then they had to be true for the superpower nation of the Soviet Union of today. My mind said: “This is impossible.” But my heart said: “God has the last word for every nation!” If God so loved 300 million Soviets that the blood of Jesus was shed for their salvation, then God had to make a way to reach these people with the good news of His love. A miracle had to happen first! And the miracle happened! I vividly remember the morning when the phone rang at our studio in Finland. The call was from Moscow. On the other end of the line was Soviet State TV Channel 1. Soviet State TV commanded the largest TV audience in the world at the time, with almost 300 million viewers daily. It had spewed atheistic propaganda to its people for decades. Now, unexpectedly Laura and I were called to Moscow to sign a contract allowing this same channel to air a 52- part animated children’s Bible series on national TV—once a week for a full year. We could not believe this was happening! It was a miracle that defied imagination! Never in the history of the Soviet Union had any TV program had similar ratings. The stats were off the charts! The children’s Bible series had broke all viewership records, hands down. Consequently, the programs generated a “tsunami” of mail a paralyzing the postal system. 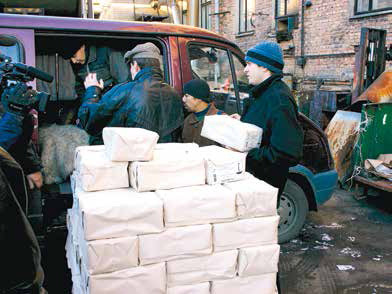 One million response letters flooded the Moscow post office in 30 days! Cosmonauts, students, Communist party officials, artists, bus drivers, factory workers, people from all walks of life watched the Bible on TV, in their living rooms each week. As a result of these programs, multitudes of new churches were planted across the nation. Yes, it was still true today! God showed His love to the people of the Soviet Union and provided a way for them to hear and respond to the gospel message, in mass! He foresaw every step of the way in the past 42 years of incredible ministry. God’s miracles did not end here. God has tailor-made His miracles in different shapes and sizes for all who serve Him on the harvest fields of our generation. In this Ministry Report you will read of the many miracles, that together, we and our partners and friends of GCM Ministries have witnessed time and again. Our prayer is that we would continue to be a part of the miracles and works of God. Thank you for partnering with us. Let’s take the Gospel to the people of this generation, together by the power of the Word and the leading of the Holy Spirit. A giant billboard in the South Sudanese capital, Juba. 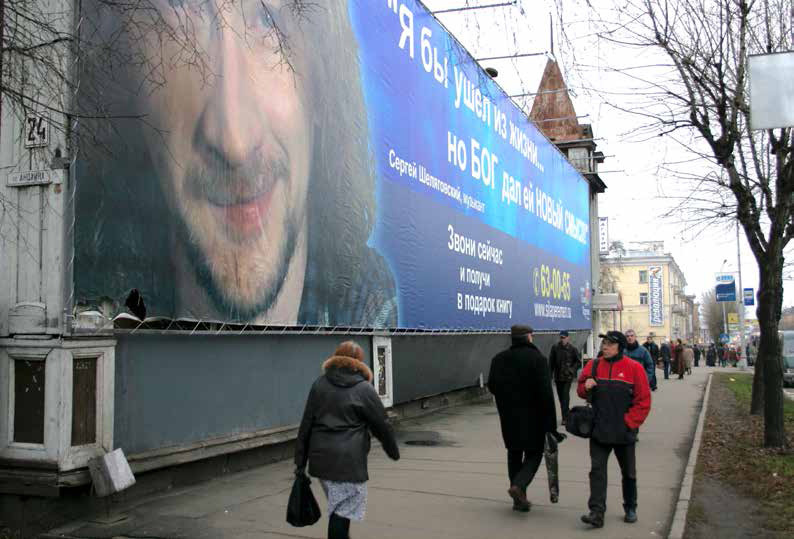 These outdoor ads went up on day one throughout the city generating the first wave of calls. 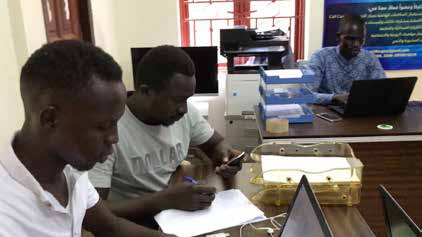 As I write these lines it is day five at the campaign call center in Juba. 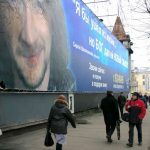 The billboards are up across the city. The first of the full-length transformation stories have aired on national radio and television at prime-time with multiple repeats per day. God...gave us the ministry of reconciliation: that God was reconciling the world to himself in Christ, not counting people’s sins against them. And he has committed to us the message of reconciliation. We are therefore Christ’s ambassadors, as though God were making his appeal through us. We implore you on Christ’s behalf: Be reconciled to God. President Salva Kiir Mayardit speaks at massive peace rally quoting our campaign text on forgiveness. Presidents and Prime Ministers of five African nations were watcing and listening. 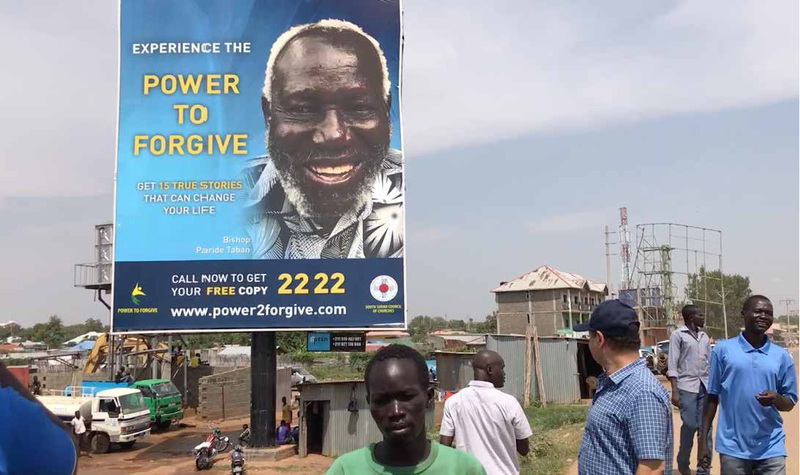 A special event celebrating the recently signed peace agreement took place in South Sudan one day before the launch of the “Power to Forgive” campaign. The President spoke to a live audience of 500,000 people. Joining the South Sudanese President on the stage were the Presidents of five African nations: Uganda, Somalia, Eritrea, Ethiopia, (upper) Sudan and the Prime Minister of Egypt. In his speech, the President called on his nation to forgive each other for the atrocities committed! Then the president read directly from the campaign text that we had submitted to him day’s earlier, stressing forgiveness and God’s road map to reconciliation. To add to this, the President’s speech was broadcast "Live" by state television and radio to six million people in South Sudan. 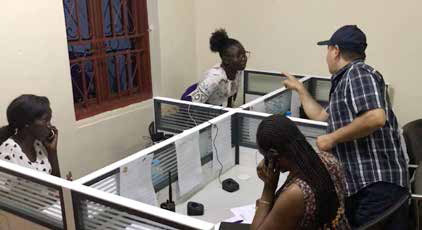 From day one of the campaign, the ministry call center has been deluged with phone calls! Fifteen phones continue to ring nonstop with up to 1,700 calls waiting in line on each phone. The digital readout on one phone shows 1697 missed calls. There are 14 more phones with similar calls waiting. The service provider is panicking. They have never seen anything like it, ever. Neither has Great Commission Media Ministries in any of the 100 plus city campaigns to date. To handle the flood of incoming calls, one thousand phones would be needed. We have only fifteen! Judging by our experience in past cities, we figured that in a city the size of Juba, 15 phones should be enough. The flood of calls was a clear indication of the spiritual need for forgiveness, reconciliation and a new start in the nation. Despite our best efforts and estimates in planning the call center, we had drastically under estimated what was to happen. Within days, we saw skyrocketing response on the call center phones. We were seeing peaks of up to 1,000 calls per phone, waiting on hold. Our capacity to handle such congestion was, at most, 10% of calls missed. We have missed 100,000 calls within the first few week of the monthlong campaign. Fortunately, most of the phone numbers of the missed calls have been saved on the service provider’s server, for call back. Newspapers carried front page ads. In October, we ordered 25,000 copies of the campaign books from a printing house in Uganda. For the illiterate of Sudan (70% of the nation) we ordered 20,000 digital audio players (DAP’s) in South Sudanese Arabic. The demand is much greater. 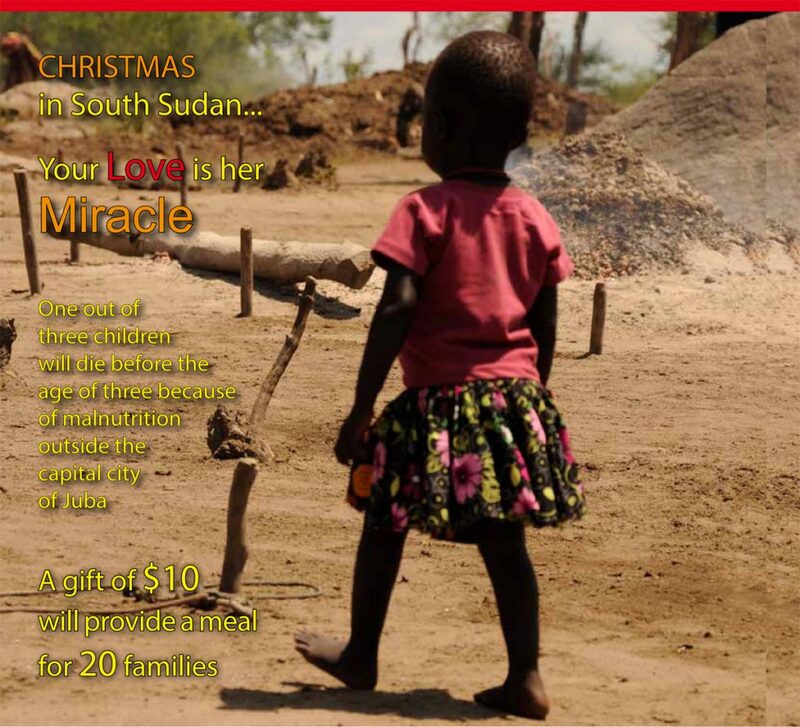 The chairman of the Council of Churches of South Sudan, also the campaign chairman, has asked us to extend the campaign until Christmas. We will do so. Clearly, it is harvest time in South Sudan. 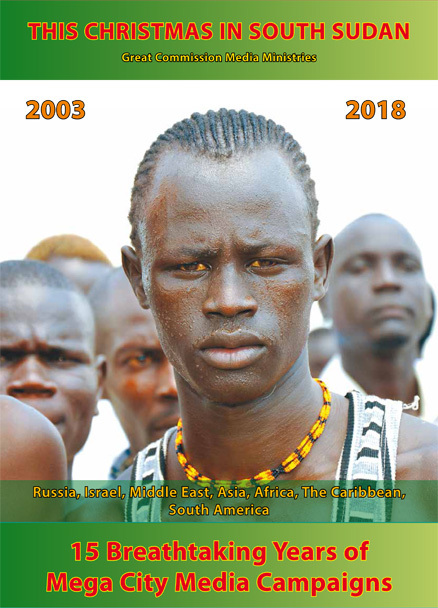 The DAPs are now being translated into the languages of the Dinka and Nuer tribes. These two tribes have fiercely clashed time after time leaving behind burnt villages, bloodshed and death. 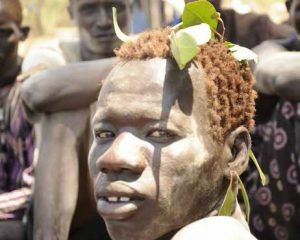 The words of Jesus: "the harvest is plentiful, but the workers are few,” could not be truer in South Sudan! Thank you for praying for this mega city campaign. The Book Content: Contains 15 powerful transformation stories plus roadmap to new life in Jesus. The Math: The Call Center is equipped with 15 phones to receive 15,000 calls per month. 1,000 phones are needed. Call Center Congestion: A massive flood of calls results in "off the charts" congestion. The call center phone system collapses. Casualties In The Civil War: The war has ravaged the country for many years. To date, 380,000 people have been killed. A dusk to dawn curfew continues to be in effect. Because of the security risk, we have needed to provide safe travel for the volunteers who go home after dark (after 6 pm), having served long hours at the call center. Because of the security risk, there are weapons in practically every home in the city. Going home early presents a problem because of a high volume of incoming calls after nightfall. The mega city media campaign stresses change, transformation and forgiveness through faith in Jesus Christ. It is taking place in a country that has been ravaged by civil war and has seen ethnic cleansing and unimaginable atrocities, since 2013. The five-year civil war has left almost 400,000 people dead and has displaced millions. During the campaign we are providing “live” call-in programs on both television and radio. A panel of pastors responds to questions dealing with revenge, hatred and bitterness. The wounds are deep in practically every family throughout the nation. It was the spring of 2003. We were about to embark on new incredible journey. Step by step, God was directing the Ministry of GCMM to challenging (to be sure) but also high impact ministry. In many countries, it was obvious that the church was not faring well in reaching their cities for Jesus. To the contrary, the “gates of hell” had drawn ever closer to the church. But, the gates of hell would not prevail. Jesus said: “I will build my church; and the gates of hell shall not prevail against it. “ That was a promise worth remembering! Hebrews 11 has a whole list of men and women of God who chose to exercise faith. They saw the mighty move of God in their generation. The book “Only Believe” tells of 15 years of an improbable ministry at GCMM to cities in our generation. The book is worth the read. It will build your faith in Gods power and His control of events in our lives. It is available through Great Commission Media Ministries. Storm clouds began to appear on the horizon over the harvest field of Russia. Challenging times lay ahead. 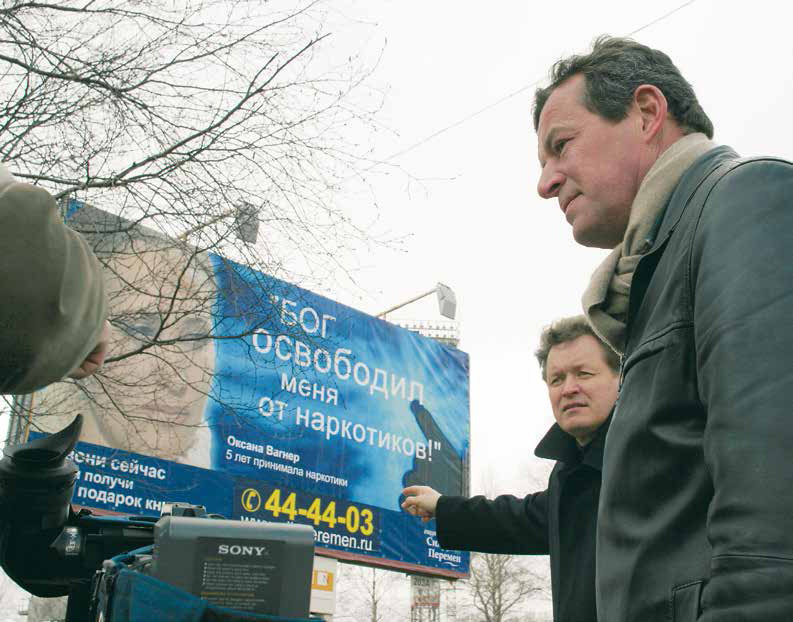 Year after year, measures restricting evangelism, were imposed on the church by the Kremlin. 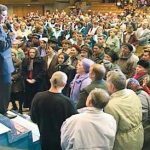 Compared to the freedom of the 1990’s it was clear that the authorities in Russia were making a U-turn and retreating to an era of persecution of the Church. The church no longer had access to rental facilities restricting them to carry out ministry. Under the Soviet system, the churches had not been granted ownership of buildings or building permits. Again, the national media, TV, radio, newspapers were declared off limits to the Church. The media lambasted evangelical churches with false accusations, labeling them as dangerous sects. The Church had no tools to defend itself from the false accusations of Kremlin controlled media. Twelve years had passed, the miracle of animated Bible stories on Soviet Television were now history. 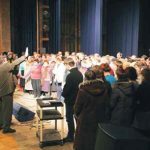 At morning devotions, at our ministry center, God began to speak to our hearts about millions of spiritually lost people in Russia’s hub cities. We saw no clear course of action to reach these cities for Jesus. The idea of using all the media in concert, in a major city nonstop for one month, was an idea conceived of the Holy Spirit. It was not of our design. 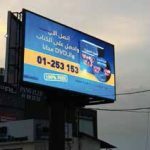 These month-long campaigns would utilize local TV, radio, outdoor ads, billboards, banners, signs, light boxes, ads on buses and taxis, ads in newspapers, and a specially produced 150-page evangelism tool. The book would contain powerful, local testimonies of transformed lives, as well as a road map to new life in Jesus. This symphony of media would practically reach a whole city, something churches had never done in Russia. Follow-up would be handled by participating local churches. These campaigns would give churches unprecedented exposure and would help them take the Gospel to the people outside church buildings. In this way, the churches could fulfill Jesus’ command: “to be witnesses starting in their own Jerusalem”. 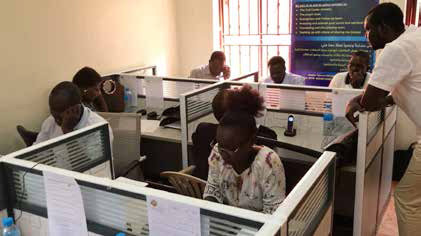 A call center would operate 24/7 to receive calls from people searching for faith in God. Callers would receive the 150 page book on transformation through faith in Jesus. 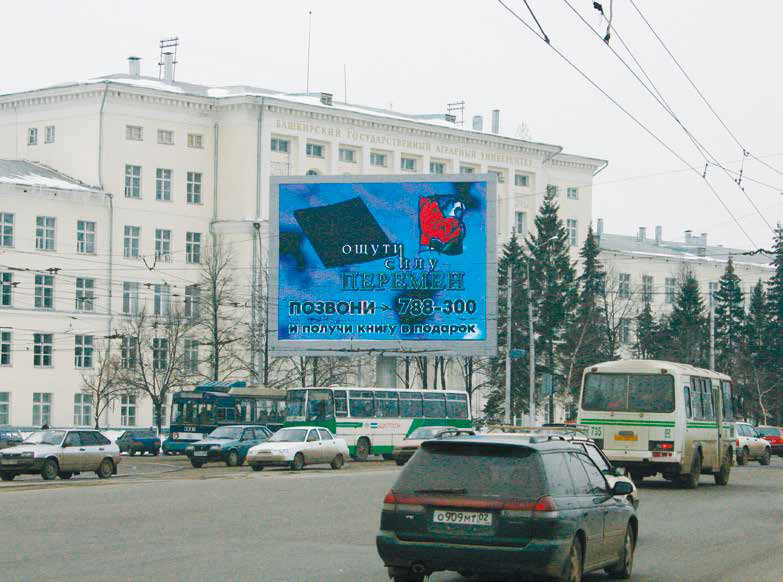 2005 ARKHANGELSK – A mega city campaign in Arkhangelsk located near the Arctic Ocean. 600,000 residents heard the gospel message. A young student at school received the ability to read out loud in a spontaneous healing as he read the giant billboad evangelistic ad text. He read: "God gave me the power to change—call for your free book." The child's mother came to faith when she saw the miracle. 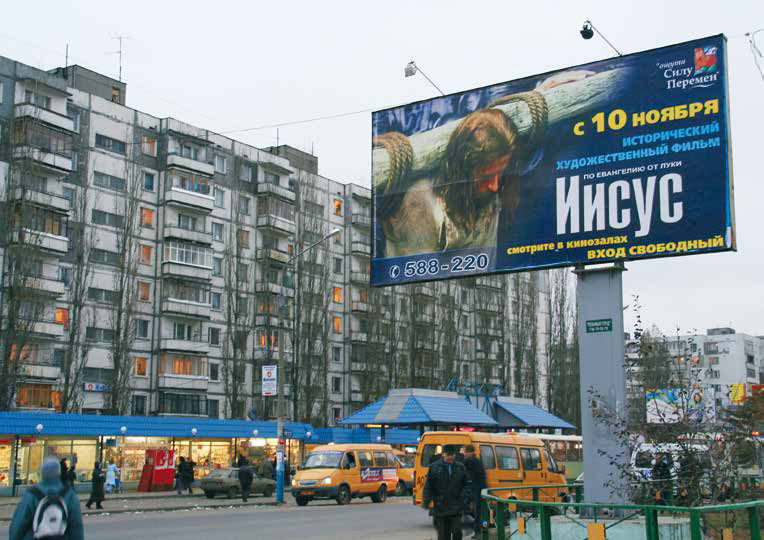 GCM Ministries first mega city media campaign took place in the Russian city of Volgograd. Thousands of residents indicated that they had made a decision to trust in God during the month-long campaign. 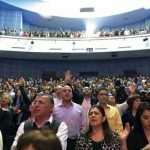 Churches began to add members and grow. 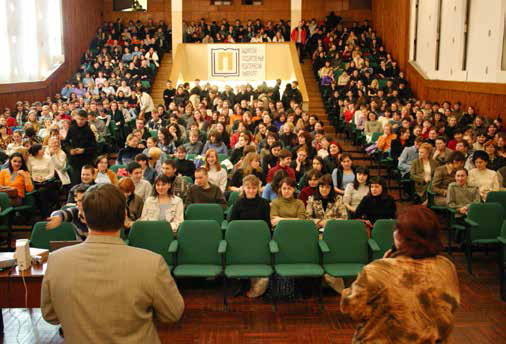 Some congregations saw attendance multiply two times their original size. Pastor Rudenki of New Life Church had planted 20 new home churches as a result of the campaign. One cardiologist, whose testimony was used in the campaign worked at the General Hospital in the city. The campaign had changed his career. His personal testimony was aired on TV. The next day he was not able to tend to his duties at work because many colleagues, doctors and nurses stopped to ask about his faith in God. Finally, the cardiologist left his post as physician to become the pastor of a new church. Local newspapers published articles expressing amazement of how tens of thousands of people were attending services at churches that otherwise had been mostly empty. 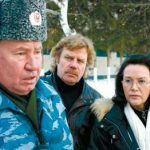 In the Ural Mountains, in the heart of the Islamic Republic of Bashkortostan, five Colonels from the Ministry of Interior and an Attorney General came to faith. Thousands of others in the city called for spiritual guidance and help. 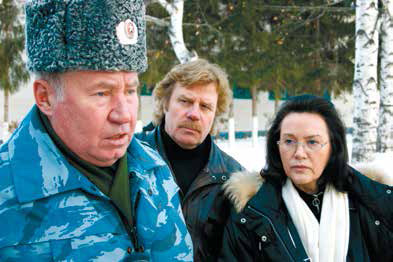 In many cities the Russian Air Force, the police force, judges, and even the mafia called for a copy of the campaign book. 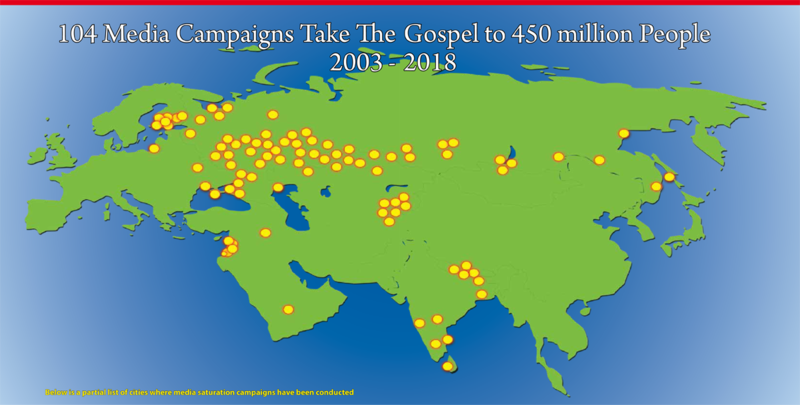 Demand for more evangelistic campaigns steadily grew. But opposition also grew. 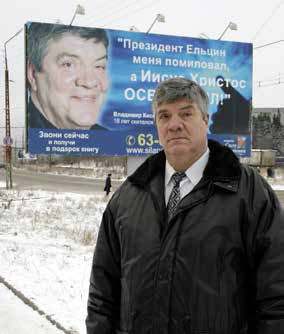 The Russian Orthodox Church aligned with State Security, the FSB, became alarmed at the response to these campaigns. 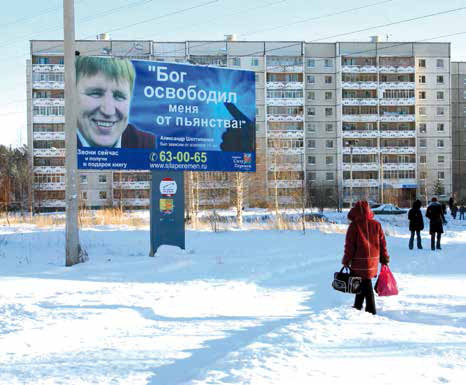 In 7 short years the campaigns had touched a total of 70 million people in 40 major cities of Russia. Media and mega city campaigns are key tools for evangelization for churches in this day and age. Evangelical churches are hardly noticable in the city scene in recent times. These campaigns give tremendous exposure to the Gospel and give rise to the Church and effectiveness as "light and salt of the earth". 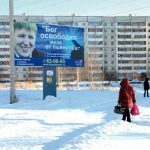 A city in Bashkir, population of a million people, located in the Ural mountains, heard the campaign message: "God gives you the power to change". Thousands called the call center. Five Colonels from the Ministry of Justice committed their lives to Jesus. 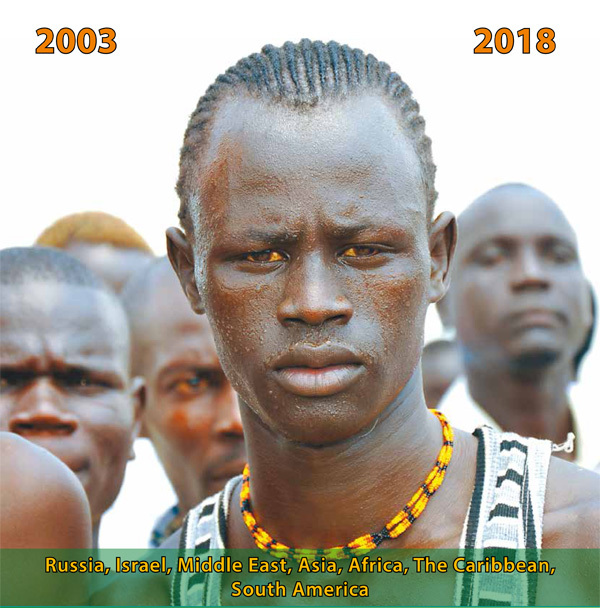 During mega city campaigns GCM Ministries has provided poverty aid and the gospel message to children's prison camps in Russia, Ukraine, Kazakhstan and Kyrgyzstan. Hundreds of boys and girls have made decisions to receive Jesus as Lord and Savior. The poverty aid was crucial. Children at some of the prisons had not seen underwear for several years. 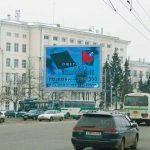 A mega city campaign was held in the third largest city in Siberia which is located on the shores of the Yenisei river. The militia and security police ordered the campaign books for their staff and officers. On the opening night of the campaign just as one of our life-changing documentaries was going on-air, power to the television station was cut. Over 2.5 million people were reached with the Gospel. 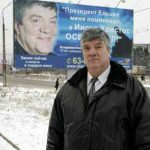 This campaign reached almost a million people in the Northwestern Republic of Karelia. 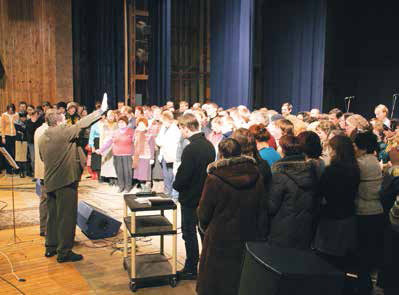 Thousands of residents, including defence ministry officials, mafia members and government officials called to request a copy of the campaign book containing life-changing stories and the road map to new life in Jesus. Below right: A special events over a thousand people indicated they had made a decision to follow Christ. 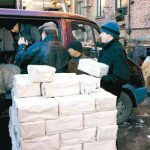 Below: In this city of 300,000 people, tens of thousands of evangelistic books were loaded onto vans and trucks to be distributed throughout the city to people who personally responded to the campaign message "God Gives The Power to Change" and had ordered the book. 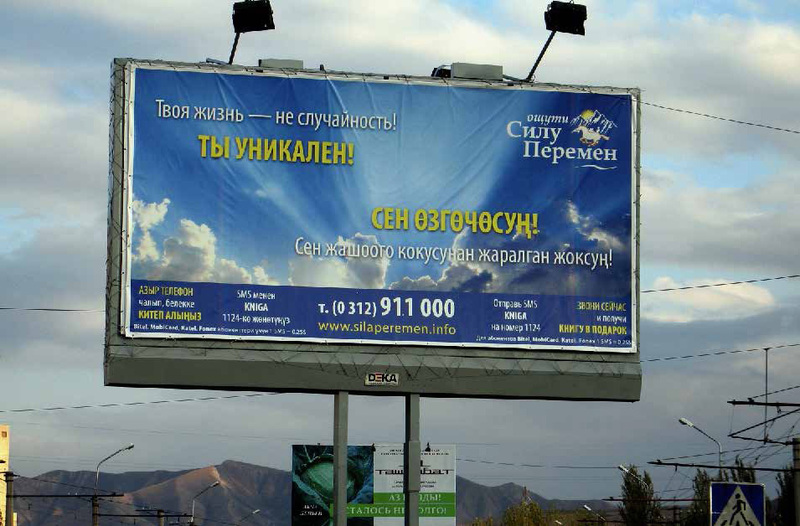 The billboard below reads: "President Jeltsin pardoned me, but Jesus Christ set me free!" 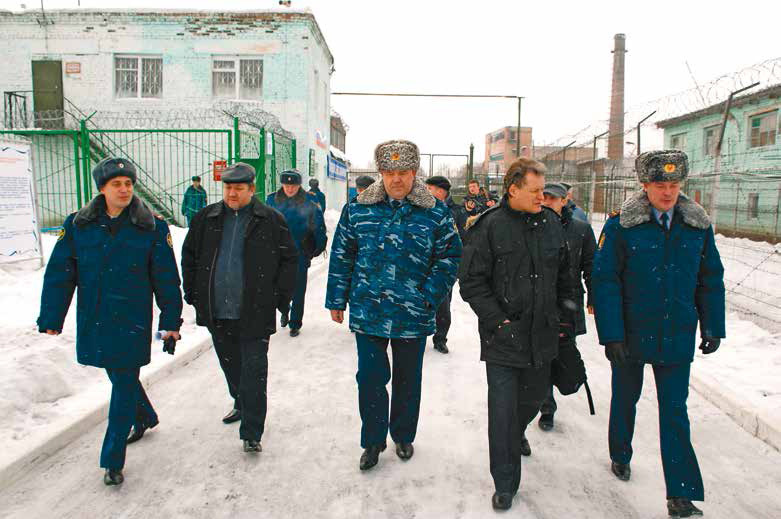 In one prison 300 convicts came to faith in Jesus after hearing Vladimir's testimony. 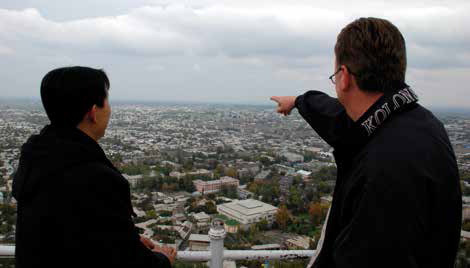 The campaign spread to the Central Asian Kazakh city of Almaty, with a population of 2 million. Islamists in the city hacked the campaign website on the first day of the campaign. 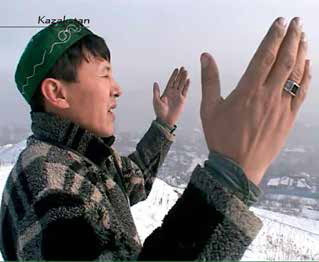 Despite Islamist extremist resistance, Kazakhstan TV Channel 16 aired the campaign transformation stories to over 10 million viewers each night. 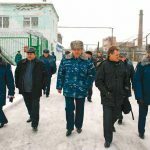 We received a call from the inner circle of Kazakhstan’s President offering to work together to reach the city’s youth struggling with drugs and alcohol. 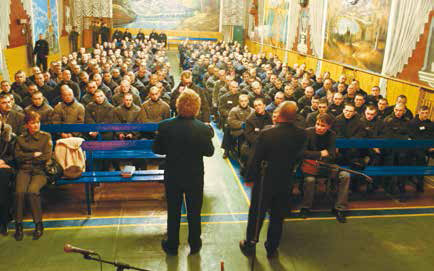 During the campaign the city’s rehab centers filled with young people looking freedom from their addictions. In 2001 Egyptian born Hani Henein joined the GCMM missions team and spearheaded the Arabic language TV ministry. 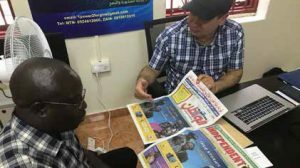 Programs in Arabic, Farsi, Somali, South Sudanese and Amharic are produced and aired over 16 satellites to over 300 million viewers regularly. The programs have resulted in response at a rate of 200,000 per month. The massive feedback tells of the hunger for a God of love, and to the effectiveness of the programs. 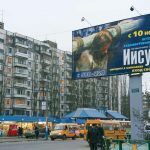 KYRGYZSTAN - Thousands of Muslims in the cities of Bishkek and Osh, Kyrgyzstan's second largest city requested the "Power to Change" book containing life-changiing stories. Smaller campaigns were conducted in neighboring Dzhalal-Abad and Kyzyl-Kiya. The year was 2013. God had led us to Mesopotamia, Abraham’s home territory. 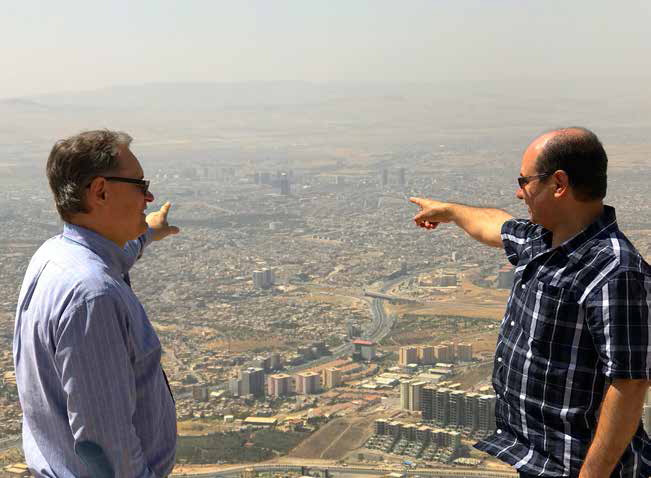 Our target city, Erbil was situated some 50 miles north east of the Old Testament city of Nineveh, (currently known as Mosul) a city of over one million residents. 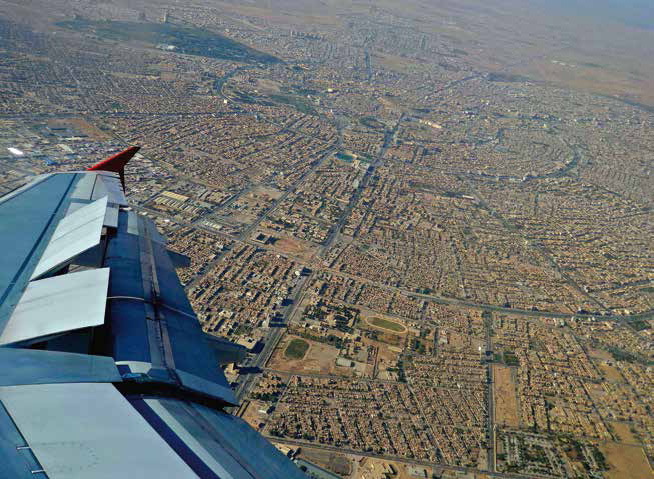 It was hard to believe that an evangelistic media campaign could be conducted in Iraq. But, God holds the keys to every nation. There was one "not so small" challenge. To conduct such a media campaign we would have to secure permission from the Supreme Commander of the security forces of Northern Iraq. The commander was a Muslim. After hearing that the campaign theme was forgiveness and reconciliation, he responded: “If this is your message, you have a green light. There is no greater message that this country needs! This country is full of bitterness, hatred, revenge and killing. Conduct your campaign! We will provide for your security.” It was a miracle that we could not foresee. News of the campaign spread to other cities in Iraq. Sulaymaniyah, with a population of a million, as well as Baghdad requested a similar campaign. The response to the Gospel was unprecedented. A media campaign was held in the northern Iraqi city, of Erbil, of two million residents. Security was provided by the commander of the security forces of Northern Iraq. The campaign message: "God Gives the Power to Forgive", touched Baghdad and Sulaymaniyah as well. GCMM airs TV programs daily on 16 satellite channels in Arabic and Farsi. We also produce programs in Somali and Sudanese Arabic at our ministry center in Finland. Lebanon deserves a place in the history Great Commission Media Ministries mega city campaigns. Christian leaders from Beirut invited us to discuss the possibility of conducting a campaign in their capital city. All of us realized that Hezbollah called the shots in Lebanon. It was evident that there was fear in some of the leaders. The situation reminded us of Jonah 4,000 years earlier. God called him to hold an evangelistic campaign in Nineveh. Jonah was overcome with fear and headed in the opposite direction. After a second round of negotiations with Jonah, he went and God pulled a surprise on Jonah, and the city repented big time! Fear is a prime weapon in the enemy’s arsenal. It has the power to paralyze and it can hold us back from doing what God wants us to do. God saw our little faith and rewarded it greatly. 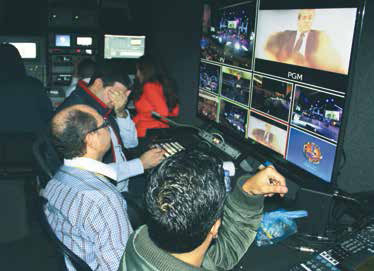 The closing ceremony for the 30-day campaign consisted of three consecutive evenings of special events held in the Central Concert Hall in downtown Beirut. The hall was packed to overflow each night. Then came the surprise. Lebanon State TV showed up asking for permission to televise all three nights “live” prime time, no censorship, into every household in Lebanon. 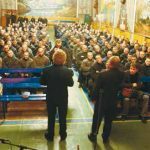 The best of the best Gospel singers, musicians, and speakers proclaimed the Gospel for 2½ hours each night to millions of Hezbollah, Sunni Muslim, Shia Muslim, and Druze families. Hezbollah did not interfere. The Media campaign was an unprecedented event in missions in the Arabic world. 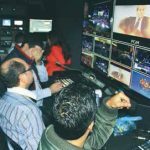 During the final week of the campaign Lebanon National TV aired three services, live, on prime time TV to every Lebanese Hezbollah, Shiia, Sunni, Alawite, Druze home. 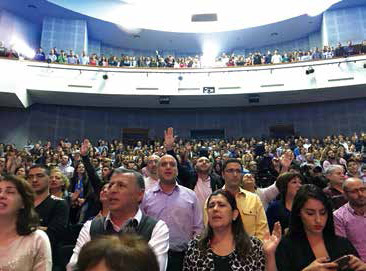 The Gospel was present in millions of living rooms in Lebanon. We saw one of the most amazing breakthroughs during this media campaign. In Jerusalem, government officials cautioned that it is illegal to convert people to Christianity. A book cannot be distributed. 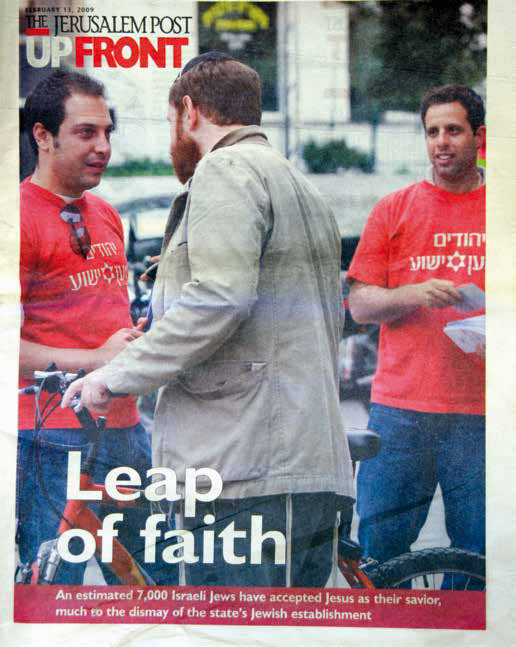 The campaign attracted the attention of the Jerusalem Post newspaper. They published an unprecedented 6-page article on Messianic Judaism in Israel. It was the first time the most watched TV channel in Israel had given airtime a Messianic Jew. Campaign leader, Dan Sered was invited for an interview on the most watched TV channel in the country. He was given 15 minutes to tell the audience about his faith and why he believes the ancient Jewish scripture and the Old Testament prophecies of the Messiah were fulfilled in Jesus. The nation looked on as Dan spoke! 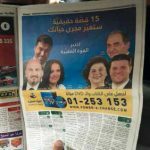 The campaign was conducted in Hebrew, Arabic, and Russian. To date almost 100,000 phone calls have been received. Many new groups and congregations have been planted. 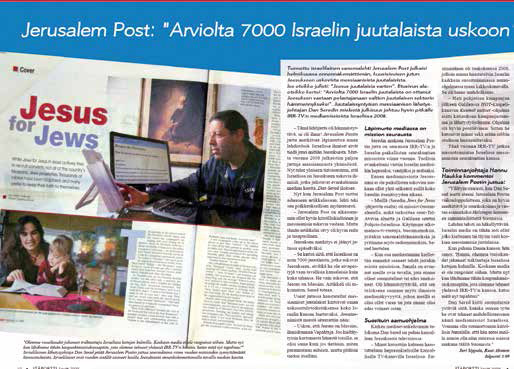 The national newspaper, Jerusalem Post, published an incredible 6-page article on Messianic Jews. The headline proclaimed that 7,000 Israeli Jews had accepted Jesus as their Savior. 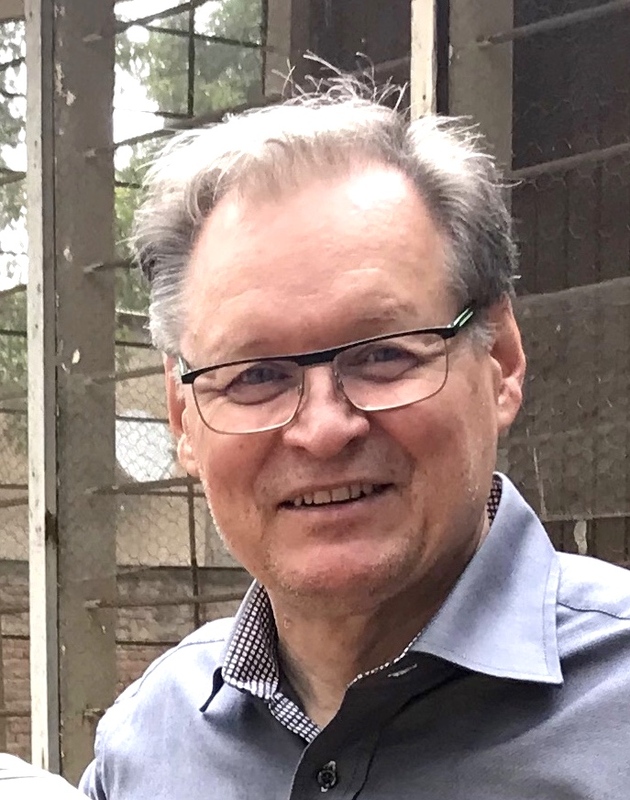 Messianic mission leader Dan Sered beleives that messianic Jews there got this exposure due to the evangelistic media campaign GCM Ministries led. Dan was invited to talk about his faith in Yeshua on the most popular TV channel in Israel. Our call centers received 70,000 calls from Jews, Arabs and the Druze. The Gospel was proclaimed in three languages in Israel and the Palestinian territories. Over 9,000 Jews were in follow-up by local congregations. 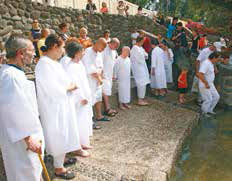 Followers of Jesus getting baptized according to the New Testament at the Jordan River. 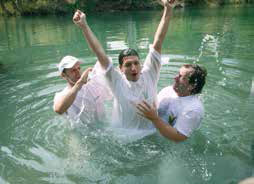 Jewish Christians take baptism as a proclamation of their faith in Yeshua the Messiah. 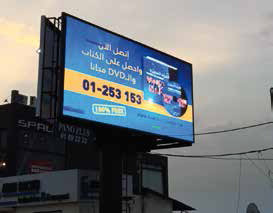 News of the effectiveness of these campaigns spread to Asia as well. God was preparing us to make His next move in the Himalaya Mountains. The enormous needs in Asia were way beyond our capacity and our minimal resources. But, God is able to perform his greatest miracles when we seem least equipped for the assignment. There was a similar situation in the gospels where Jesus fed 5,000 people with 5 loaves and two fishes. We were not at all sure how any campaign would unfold in the world’s most Hindu country, Nepal. We did not know if the Hindu government would allow such an evangelistic media campaign to take place at all. But God is God! He loved the people of Nepal enough to send his Son to die for their sins as well. 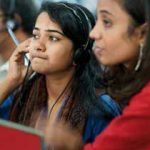 From day one, the 15 phones at the call center in downtown Katmandu, began to ring non-stop swamping the call center from the start. Calls came in from every part of the country. People would call from communal phones in remote villages on the slopes of the Himalayas. They wanted a copy of the campaign book "God's Power to Change". Most villages did not have cell phone reception. But they did have Nepal national TV on satellite television. The transformation stories were telecast on this channel. People were calling from across the border in North India. Approximately 7 million Nepalese live in the northern border area inside India. Because toll free calls did not function from India, people crossed the border into Nepal on foot to call the call center to get their free book. Nepal State TV reported that 15 million people tuned in to watch the life-changing testimonies during the month-long campaign. Calls came in from the Armed Forces as well as Maoist rebel training camps. The campaign book contained the testimony an ex-Maoist terrorist commander and how he experienced God’s power to change. The campaign shook Kathmandu. The gospel became the talk of town, just as in Jerusalem the days of the Apostles. Our campaign manager Pradeep said: “We have received a many reports from the churches about people attending their worship services because of the campaign.” One pastor in Kathmandu came by our campaign headquarters telling us he could have never imagined just how powerful the campaign would be. The churches in his area had filled with people seeking answers to life's questions. Over 40,000 Hindu families received the Gospel message during the month-long campaign. Additionally, the Nepalese language website had logged 600,000 visits. MUMBAI, INDIA - Mumbai reacts to the mega city campaign. 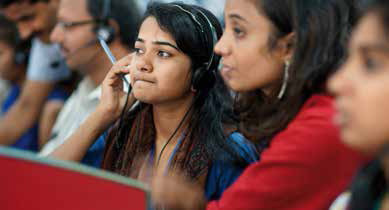 In Chennai, the call center logged 86,000 calls in the month of May. People requested the campaign book with stories of transformed lives. 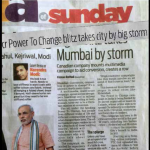 In Mumbai, millions of people woke up one morning to see the campaign message "God gives you the power to change!" in the media. 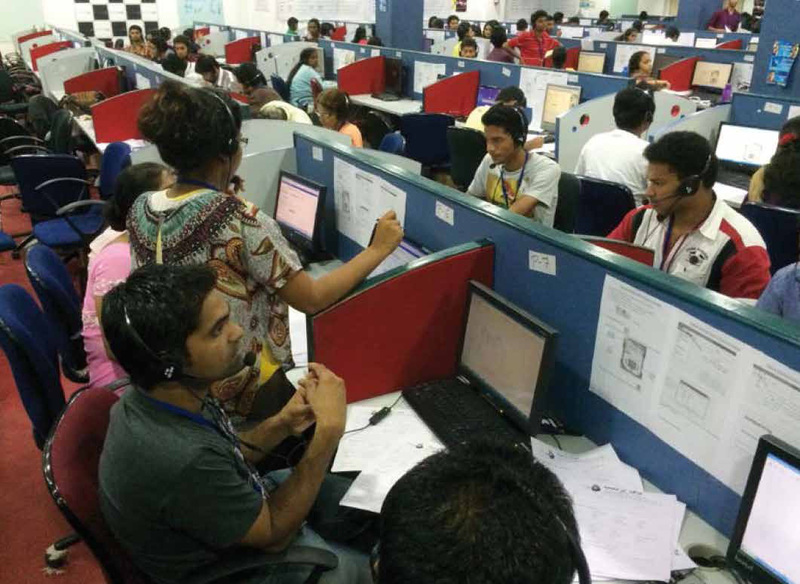 At the call center, 400 phones intercepted 357,000 calls in five weeks. To meet the need, hundreds of thousands of books were printed. From Nepal, the Lord directed our steps southward to the second most populous nation on earth, India. Chennai, the largest city in the state of Tamil Nadu, was our first stop. 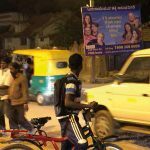 In the aftermath of the media campaign in Chennai, the chairman of the campaign pastoral committee Bishop Mohan, observed:“We’ve seen many campaigns where a lot of money was used to bring crowds of people into one venue. Through this campaign we are able to reach people where they are. This kind of evangelism reaches vast numbers of people that we could not otherwise reach. And they join the church because they themselves set out to look for help,” Pastor Mohan is the leader of a 40,000 member mega church in Chennai. In 2013 we targeted the cultural and financial hub of India, Mumbai with a population of 22 million people. Working together with 1,700 churches and 13,000 trained volunteers we saw the Gospel shake the city. In the weekend edition of one of the biggest daily newspapers an article warned Hindus to avoid the campaign. 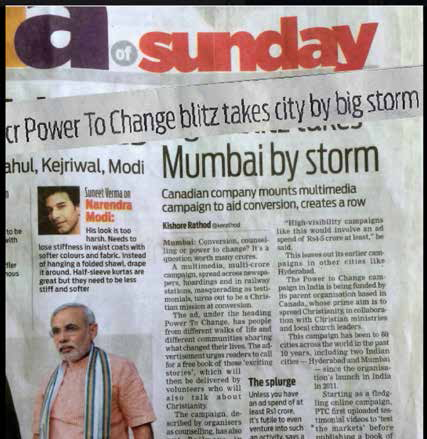 The headline in huge print said: “Power to Change Blitz Takes City by Big Storm!” We landed on the same page with the current Prime Minister, Narendra Modi. It was a high level, a admission that the campaign had hit a bulls eye. Four hundred (400) phones at the call center working 24/7 logged 357,000 calls with five weeks. The campaign was massive and the follow-up process was equally as massive. Each recipient of the book was contacted personally by a church volunteer who delivered the book that could serve to change their lives. Follow up continued on for over three years. Thousands of trained volunteers from participating churches hand delivered hundreds of thousands of books to those who had ordered them. When God gives an assignment, He equips his men and women with what is needed to complete the task. Mumbai reacts to the mega city campaign. 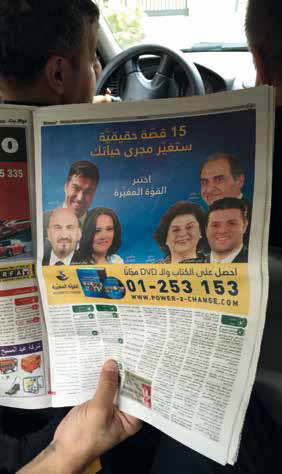 One of the biggest daily newspapers headlined: "Power to Change Takes the City by Storm!" It was a rare confession to the impact of the campaign. Leading Pastor Shelton: "When the campaign launched, we saw the media, the trains, the billboards, newspapers. Working in media missions is a special, amazing grace. We are humbled to be counted worthy to serve in this capacity on the Lord’s harvest fields in this generation for the past 40 years. Together with you, we have seen multitudes come to faith in God and become a part of the body of Christ.